This oil is obtained from solvent and steam distillation of root, flower and leaves of the plant. The major chemical constituents are terpineol, caryophyllene, limonene, ethyl ester of p-methoxy cinnamic acid, sesquiterpenes and methyl paracumarine acetate, sitosterol and its glycoside. 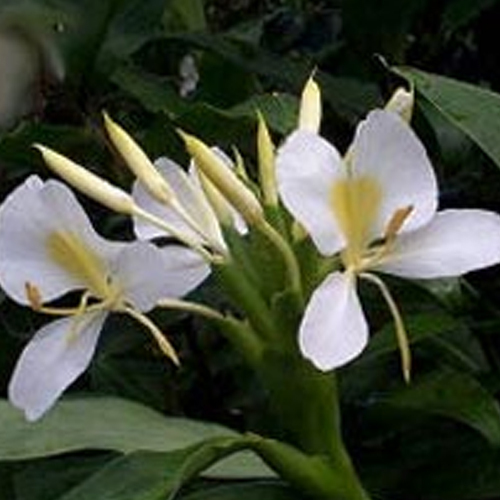 Ginger lily is a beautiful plant with orange and white colored flowers. This plant is native to tropical Asia and Himalayan mountains. These flowers have weighty sweet scent. The oil is of thin viscosity with is dark amber or light brown in colour.